Please note - we ask that anyone visiting or camping with dogs to keep them on a lead at all times. Entrance is free of charge, to make a full tour of the museums you will normally need to allow around 2-3 hours. 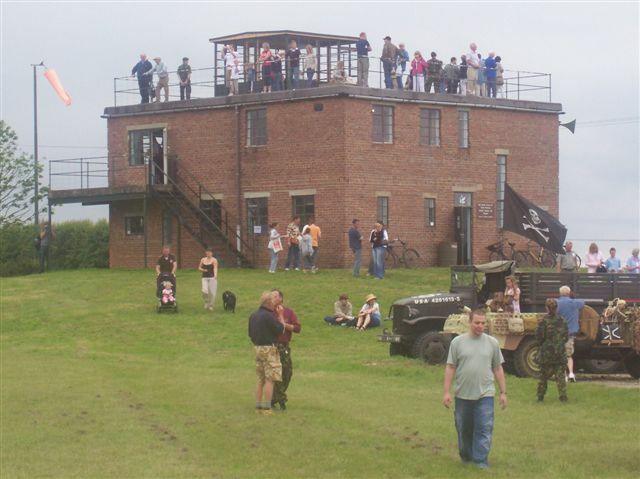 This is a new venture for the Airfield.We invite you to bring out your classic cars, enjoy the museums and also view our military trucks. 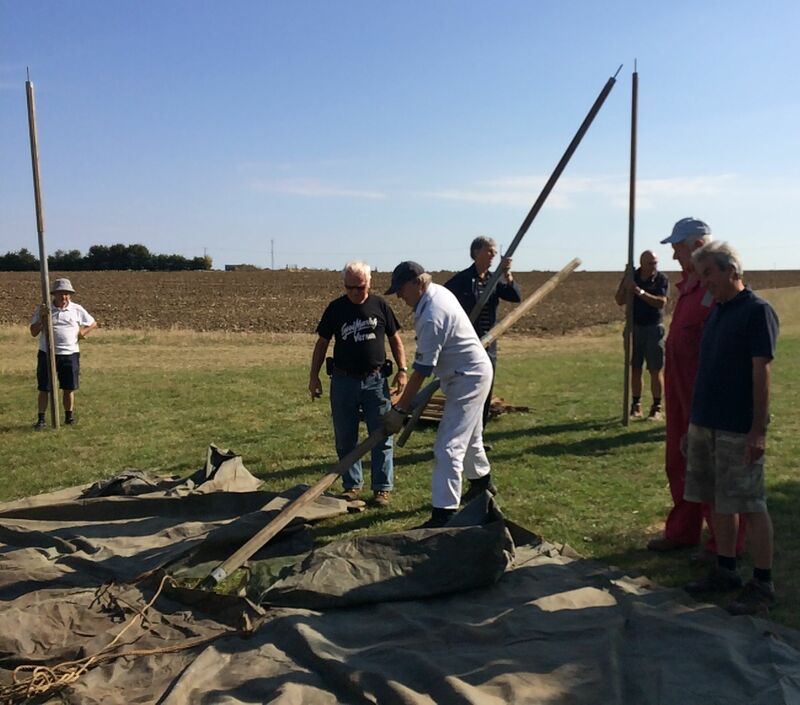 The event is free for both exhibitors and the public. Refreshments are available and we have plenty of parking. please come along. Our first Classic Car Day was very well attended despite the weather. Having had back to back sunshine, we had our first rainy day for months! We had all the fire precautions and signs in place and these turned out to be redundant. 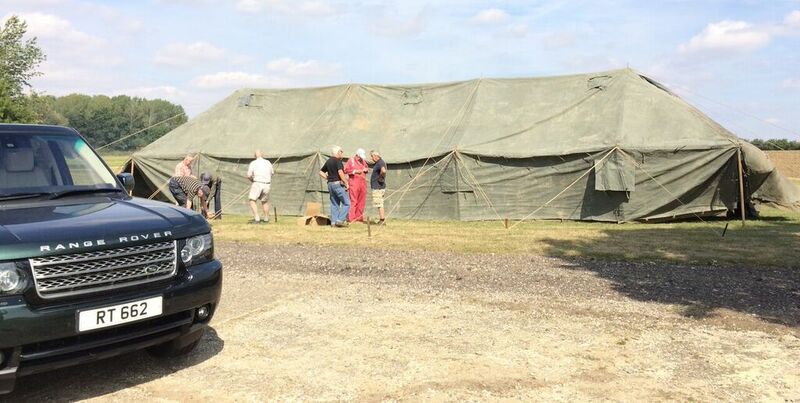 However, 70 Classic car drivers bravely turned up in their vehicles and we thank them for support. We will be having another Classic Day in 2019 and have our fingers crossed that we get better weather conditions. All in all it was a successful event and the Visitor's Cntre was kept busy making hot drinks and serving cake. 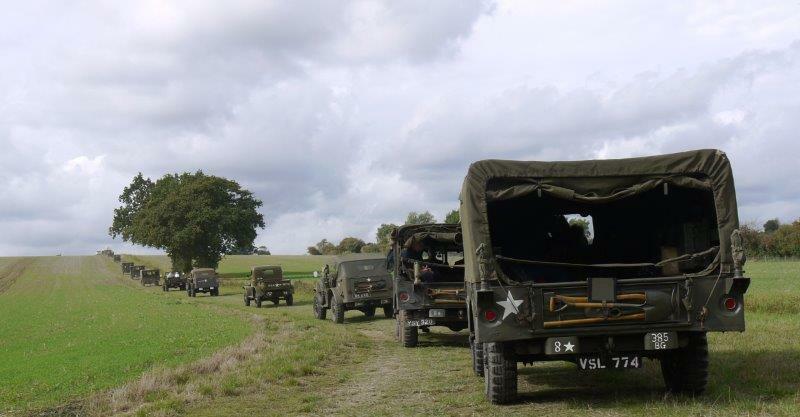 We had a record number of vehicles this year - 61 we think in convoy. Quite a sight to behold. Travelling along the farm tracks and through several villages. Thank you to all those who cheered us on and also to the drivers and passengers who took part. Our May vehicle run 2018 was most successful and again, the weather was extremely kind to us. We had all sorts of military vehicles going around the farm tracks and much fun for all. 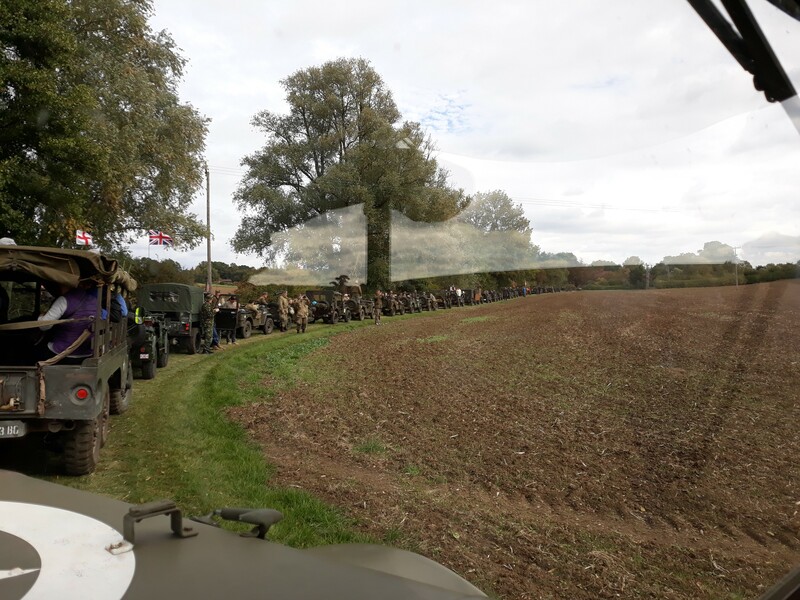 On May 28th 2017, following our previous successful convoys, we had another military vehicle run around the Farm tracks of Debach, taking approximately 1 hour. 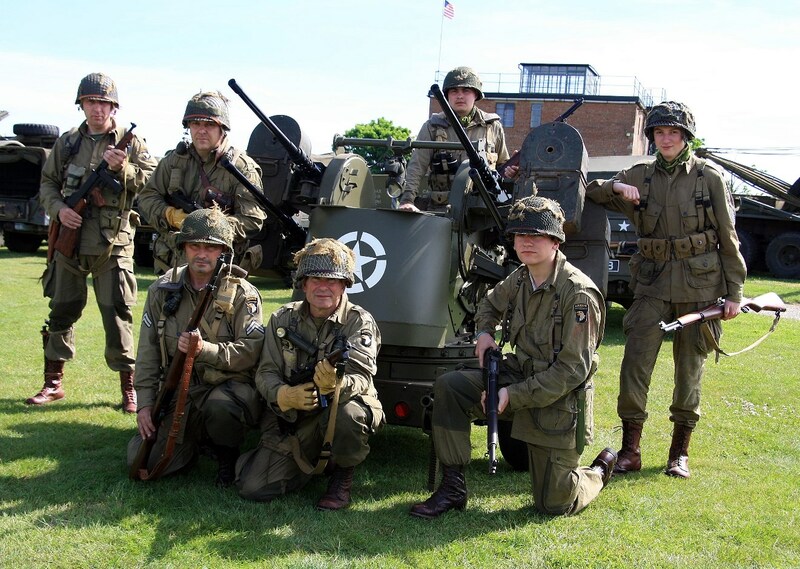 The weather was extremely kind to us and we had a record number of military vehicles taking part.We were also joined by a group of re-enactors who posed for us around our latest edition - a Maxson M45 Quad Gun Turret. Many thanks to Neal for providing us with his wonderful photographs. 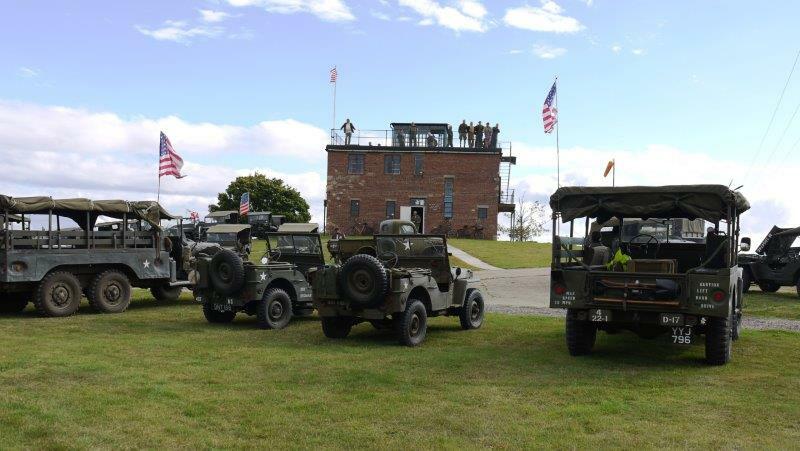 The 2017 Jeep Day was a great success, breaking all previous records.We were blessed with fine weather and 49 military vehicles including a half track, went in convoy around the farm tracks and rural roads. Members of the public were numerous and they gathered to see the spectacle of the convoy and visit the various Museums. Glenn, a friend of Brain Ward, flew his helicopter to film the convoy and we hope to bring you some pictures of his trip in due course. Just at this moment we haven't recieved any snaps but we are sure they will follow. Below we are still showing pictures of the 2016 Jeep Day. All vehicles were checked and double checked for performance on the day. 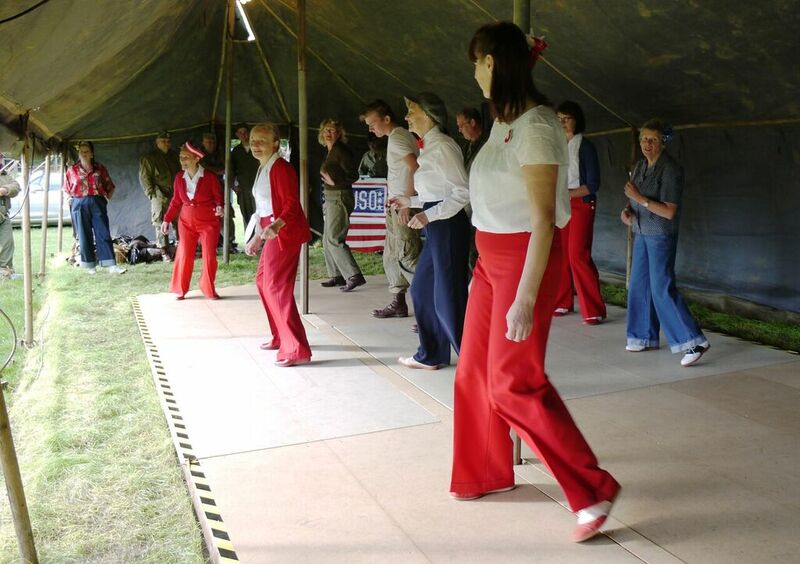 The tent was primarily put up to keep the dancers dry if we had rain. However, when the side was rolled up the wall was not high enough to view the dancers heads! The Excelsior Band from Woodbridge were amazing and they played many 1940 style tunes which created a wonderful atmosphere. 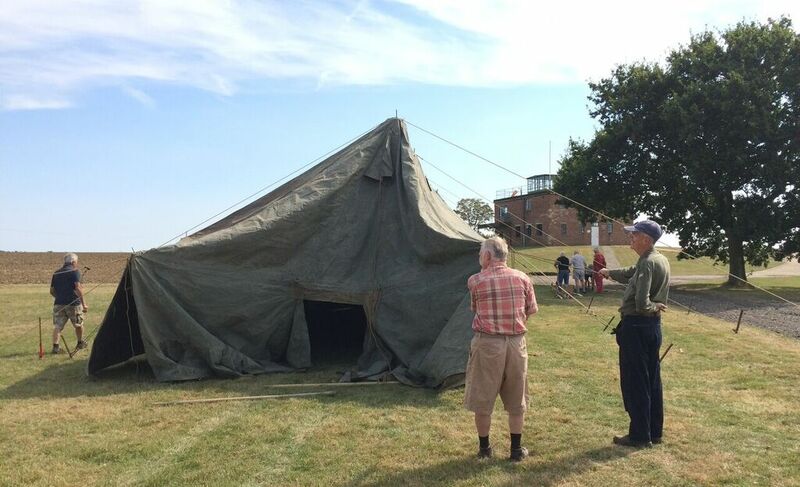 The South Staffordshire MVT group made our event even more enjoyable by travelling in their military vehicles to Suffolk, camping out for several days and joining the convoy.Our thanks also to Jordy, Steve and their group of re-enactors. Our thanks to everyone who came along and we hope to see you all next year.